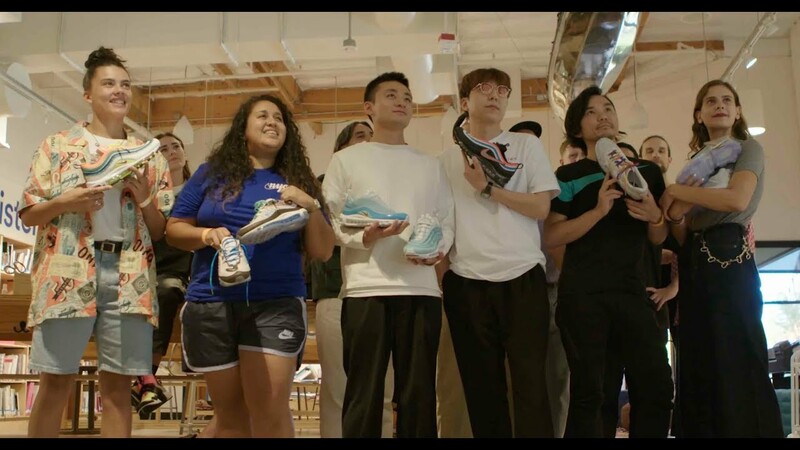 The six winners of the Nike: On Air contest – Gabrielle (New York City), Jasmine (London), Lou (Paris), Gwang (Seoul), Cash (Shanghai), and Yuta (Tokyo) – recently flew to Nike World Headquarters to take the next step in their sneaker design journey. At Nike WHQ, each winner had the chance to refine their shoes with a team of footwear designers, materials and color designers, and developers who collectively pored over the designs in individual teams. But before all of that, the moment of truth was revealed in a surprise first-look at their samples.